I was invited to collaborate with documentary filmmaker Mark Lipman in his film Father’s Day. The collaboration resulted in the creation of the title sequence. The work consisted in choosing and editing footage that would fit as the background for the movie title, typography and pacing of the sequence. 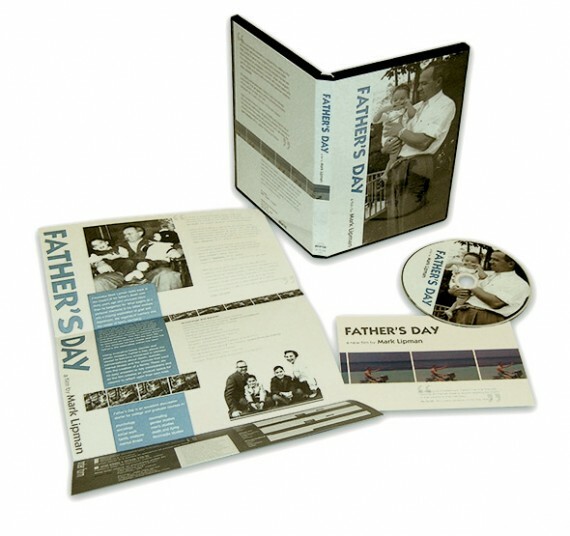 Subsequent work involved the design of promotional material and the covers for VHS and DVD versions of Father’s Day. The premier screening of Father’s Day happened in October 2003 at the Museum of Fine Arts, Boston. Father’s Day has received several awards in national film competitions, including Award of Excellence at the Berkeley Video and Film Festival, and the Grand Prize for Editing at the Rhode Island International Film Festival. This entry was posted on Thursday, May 15th, 2003 at 3:43 am. It is filed under Design activity and tagged with Mark Lipman, motion graphics. You can follow any responses to this entry through the RSS 2.0 feed.